Uncover the mystery of the cursed sword in Minit, a charming retro indie that forces you to play in puzzle-packed 60-second snippets. Developed and published by Devolver Digital, Minit is a cheeky little spit of an indie that fails to disappoint. Boasting a deeply nostalgic black-and-white art style complemented by a smart background track and clever sound effects, Minit is visually and audibly a charmer. Don’t be lulled into thinking you’ll get to enjoy much of any of that, however – Minit, as you’ll quickly find, is rather all-too aptly named. 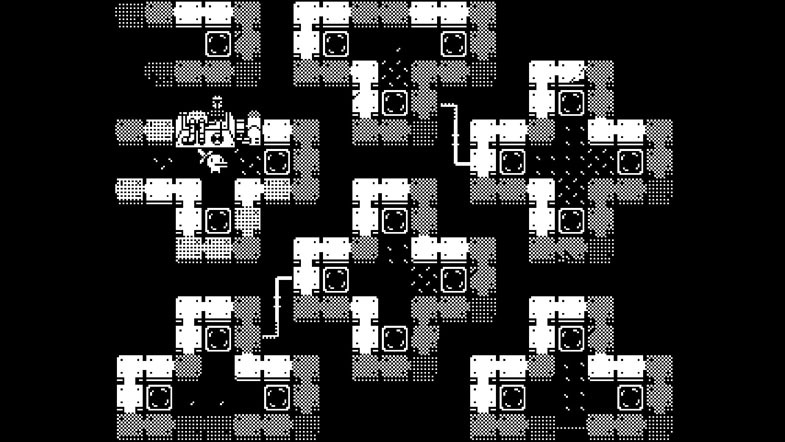 Exit your cheery home in Minit and explore at your leisure. Enjoy the peaceable soundtrack and the soothing rasp of the waves. Take a dip in the shallows of the nearby ocean. Why? Because as soon as you touch that deliciously tempting sword just a few steps away from your home, you’ll be cursed to endure the world of Minit in just 60-second snippets. A timer whittles away your seconds in the corner of your screen, and within your first few attempts at getting anything done before you die and respawn at your house, you learn just how precious that minute is. Do you smell The Legend of Zelda: Majora’s Mask on this one? I do, too. Thankfully, Minit avoids some of the more unsettling visual elements of Majora’s Mask and sticks to the time mechanic as its only… link. Terrible pun intended. Minit encourages and rewards simple curiosity and random acts of kindness. The only real way to progress is to interact with everything you encounter and build yourself a mental map of the places you can and cannot go, and the things you can and cannot do. The sword is your first and last freebie: use it to slash plants and reach areas you couldn’t before. After receiving your sword? You’re on your own. Roam the simple world that Minit offers – a world that’s inhabited with colorful (metaphorically speaking) characters, all of which have the potential to give you the key to the next area, or the next puzzle. 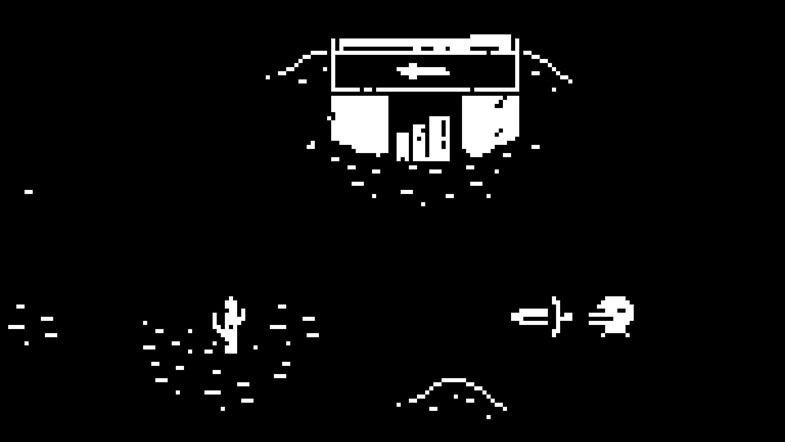 But be warned: Minit’s quartet of creators (Kitty Calis, Jan Willem Nijam, Jukio Kallio, and Dominik Johann) aren’t afraid to troll their players in reference to the little time that they give them each run. Like, say, the turtle person whose text scroll is so slow that it eats up all of your remaining seconds, and the never-ending desert which may or may not actually be never-ending… Nonetheless, most of your interactions with the world are fruitful, and guide you to the next task well. Kill crabs to gain coffee to be able to push boxes that blocked you from moving to the next area, for instance. Don’t miss an opportunity to explore or to interact with a character. You never know what’s going to be the key to solving another problem you’re waiting to untangle. Progression is simple, as is actual gameplay, item acquisition, and item utilization. Arrow keys make you move, and X is your action button. You collect items as you go, such as the sword you start with and a watering can you find later, but you only use one at a time. The other items patiently wait for you at the starting point, which, thankfully, does change as you move forward in Minit. There are enemies which damage your health, and there are ways to increase your overall health, but we’re not talking about something like Legend of Zelda here. The enemies and their attacks do become more complex as you progress, but the challenge of Minit certainly doesn’t lie therein. The challenge of Minit is — surprise — time management. Minit boasts a sense of humor throughout that’s impossible to ignore or not appreciate. The story is vague and is carried more by the memorable and snicker-worthy dialogues of the townspeople than anything else. There is heart in Minit that’s easily distinguishable under the veneer of anxiety inevitably induced by its heartless timer. As much as you come to hate the timer, you also come to understand the interesting way it forces you to play, and the interesting way it must have forced the developers to make you play. The quest-like puzzles you’re asked to solve wouldn’t normally be impressive, but since they’re constrained by that merciless 60-second timer as much as you are, their overall accessibility and level of fun is far more notable. Devolver Digital’s Minit is a gem of a bite-sized indie that plays to its strengths and tries nothing more. Is it ground-breaking? Industry-shaping? Life-changing? Probably not. Is it clean, clever, and compelling? Definitely. Minit is content to form itself around a single unique concept and commit itself to being an enjoyable time-based title that won’t drop any jaws. You may not be glued to your screen while playing Minit, but you’ll be surprised how often your mind returns to its world in an attempt to parse the next character request that you’re certain will open up a new area.